Protect your mouth with help from Everlast's Double Mouthguard. This moithguard features a boil and bite design allows for custom molding of Mouthguard to maximize protection and comfort. Protect your mouth with help from Everlast&apos;s Double Mouthguard. This moithguard features a boil and bite design allows for custom molding of Mouthguard to maximize protection and comfort. 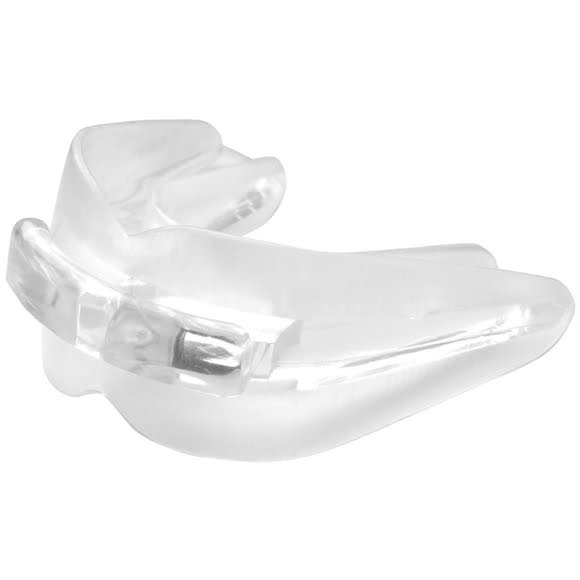 Boil and bite design allows for custom molding of Mouthguard to maximize protection and comfort. Center breath channel allows for unobstructed air flow.